What shines, here, is Einstein's solid prose. The author has a firm grasp of her own emotions, which allows her to veer off with Mot's unintentional broken thoughts. This is a book that portrays illness in all of its sad disrepair.--Heather Scott Partington "Electric Literature " With flawless style, a remarkable eye for detail, and gripping description, Pushcart Prize winner Sarah Einstein traces the decline of a homeless veteran with dementia at the same time her own marriage is imploding. . .--Hansen Alexander "The Florida Times-Union " Sarah Einstein is a brave, compassionate writer, and in Mot, A Memoir, she honors a beautiful, honest friendship.--Ren e E. D'Aoust "Rain Taxi Review of Books " First-person narratives are sometimes dismissed as navel-gazing. Nothing could be further from the reality of Einstein's writing. In Mot, Einstein looks beyond herself and challenges us to do the same. From the opening scene to an epilogue providing concrete ways to improve conditions for marginalized individuals, Mot calls us to embrace humanity with the compassion Einstein herself extends.--Kim Kankiewicz "Colorado Review " Mot is not a story of pat answers or happy endings. It is, ultimately, a passionate and moving argument for looking beyond the assumptions that blind us to the humanity of the Mots of this world.--Maria Browning "Chapter 16 " Beautifully written, Mot vividly evokes quotidian parking lots, campgrounds, and scenery and explores complicated, omnipresent moral questions about what it means to give, take, offer, need, and befriend in a way that will make it a reference point for me for years to come.--Zoe Zolbrod "The Rumpus " Sarah Einstein is a natural storyteller, and her careful portrait of her mentally ill, homeless friend Mot is unflinching. 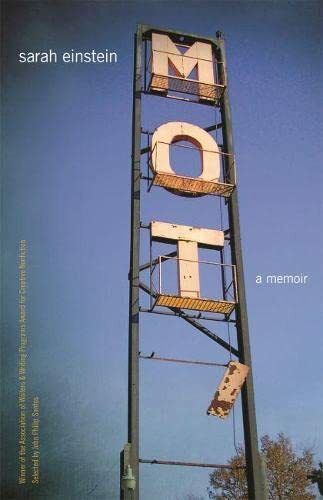 Mot, A Memoir is heartbreaking yet at times gently funny and always delivered with immense, startling compassion. An entirely captivating work of literary nonfiction.--Dinty W. Moore "author of Dear Mister Essay Writer Guy " Struggling in her marriage and as director of a drop-in center for adults with mental illness, the author meets a delusional, sixty-five-year-old homeless man. A moving, fully human portrait of the surprising companionship that grows between them, Mot shows us that to save others is to save ourselves.--Marcia Aldrich "author of Companion to an Untold Story "
At forty, Sarah Einstein is forced to face her own shortcomings. In the wake of an attempted sexual assault, she must come to terms with the facts that she is not tough enough for her job managing a local drop-in center for adults with mental illness and that her new marriage is already faltering. Just as she reaches her breaking point, she meets Mot, a homeless veteran who lives a life dictated by frightening delusion. She is drawn to the brilliant ways he has found to lead his own difficult life; traveling to Romania to get his teeth fixed because the United States doesn't offer dental care to the indigent, teaching himself to use computers in public libraries, and even taking university classes while living out of doors. 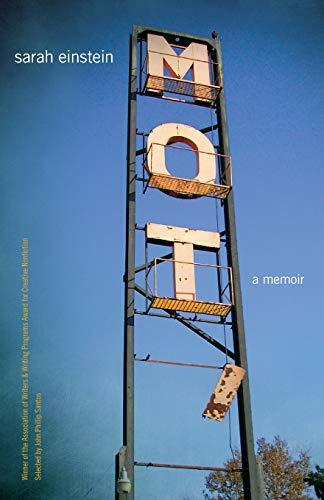 Mot: A Memoir is the story of their unlikely friendship and explores what we can, and cannot, do for a person we love. In unsparing prose and with a sharp eye for detail, Einstein brings the reader into the world of Mot's delusions and illuminatesa life that would otherwise be hidden from us.